When the scorecards were handed in after his bout with Damien Brown at UFC Fight Night 101 last night (Sat., Nov. 26, 2016) in Melbourne, Australia, many expected Jon Tuck to be announced the winner. But, it was Brown that was awarded the win. Needless to say, tuck was none-too-pleased, as he tells Submission Radio that the Melbourne Athletic Commission needs to take a hard look at the judges after he says he was easily “robbed” of a victory. Anyone agree with Tuck on this one? For complete UFC Fight Night 101 results and coverage click here. 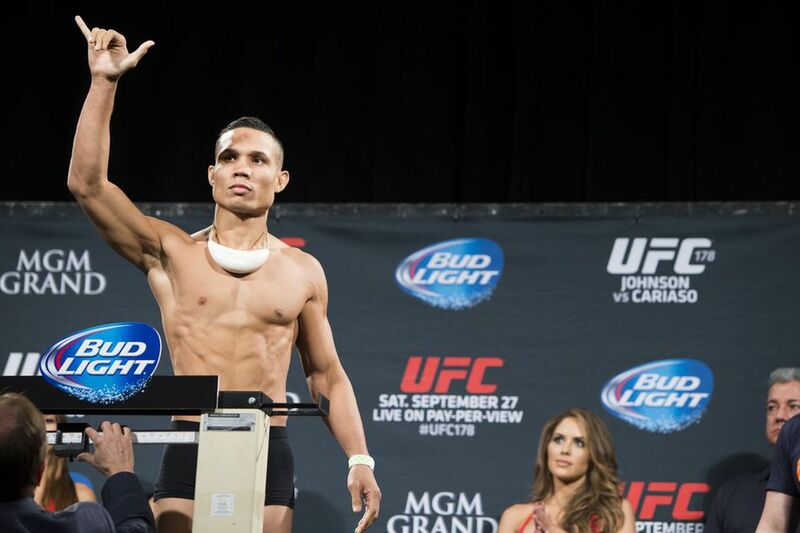 Click Debate: Why have more fighters missed weight since the advent of the early weigh-ins?